MPEG (MPG) whose full name is Moving Picture Experts Group is a group with international standard. ISO (International Standardization Organization) and IEC (International Electrotechnical Commission) formed this group to aim specially at moving image and voice compression in 1988. 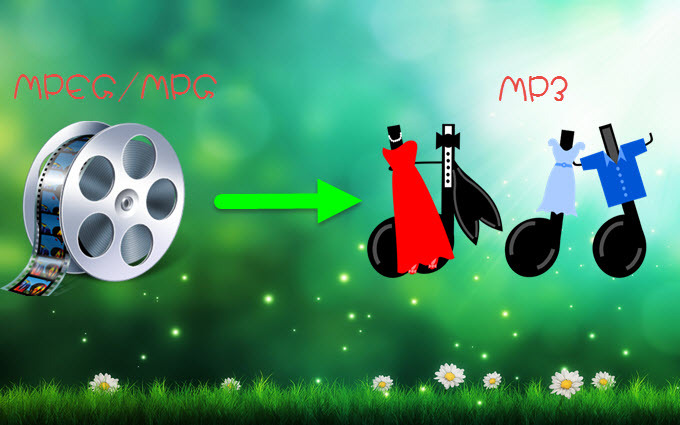 MPEG standard mainly includes the 5 ones: MPEG-1、MPEG-2、MPEG-4、MPEG-7、 MPEG-21, etc. Usually, many kinds of video files are compressed as this type of format – MPEG. Sometimes, you may have the desire to convert MPEG to MP3 for playback on your Apple, Samsung, HTC, Sony or other devices, or burning to CD, etc. You can find some enthusiastic netizens advise you to use iTunes while searching for guides on the internet, but it seems to be too complicated for non-technical users. 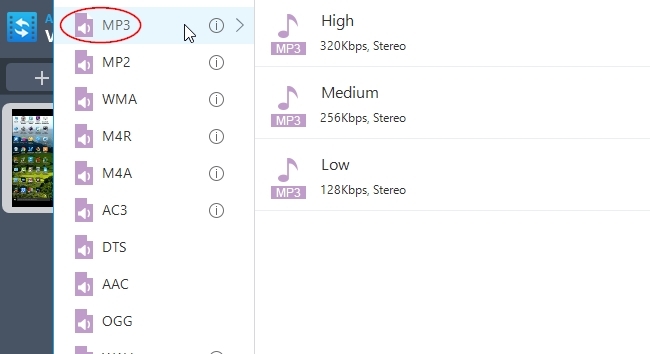 How to convert MPEG/MPG to MP3 easily? 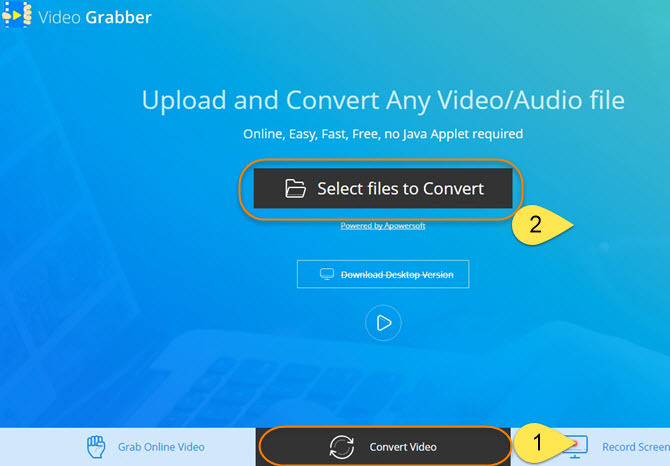 Video Grabber is a free online service which can be used to grab online video, convert video and record screen. No Java required or installing any extension on your browser, you can choose to grab videos from the popular video sharing sites: Vimeo, YouTube, Facebook, Dailymotion, Vevo, etc on Windows and Mac computers. It supports converting videos to nearly any popular video or audio format. You can set the resolution, keyboard shortcuts, mouse style, audio quality, bitrate, frame rate, codec, video format and so on before recording computer activity or web camera. In short, it is not just a MPEG to MP3 converter, but a multifunctional tool. If you haven’t heard of this online service before, you may refer to this process for converting MPG to MP3. Make sure your computer connect to the internet. Open your browser and visit Video Grabber. Click “Convert Video” tab on the first screen and click “Select files to Convert” button in the middle. Now choose the file you would like to convert. Click “Format” button to check MP3 format. Hit “Convert” button and wait for the conversion. If you just need to get a small clip or several clips from MPEG file, we would recommend you to use Streaming Audio Recorder to record audio directly. Besides recording audio by simply hitting “Record” and “Stop” buttons manually, you can also schedule a recording task by setting the start time, duration and stop time. 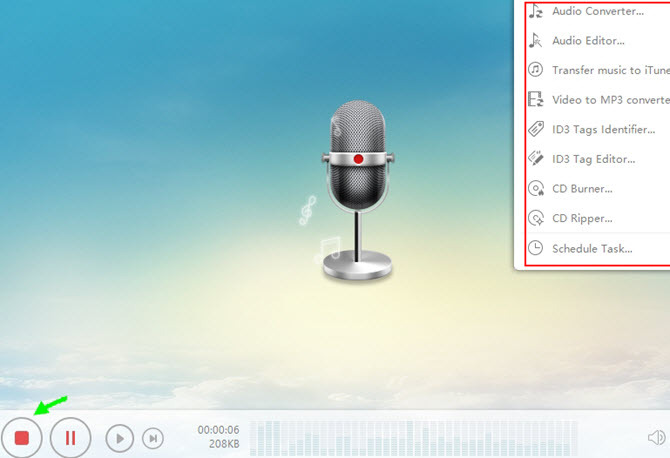 After recording, it allows you to edit audio, transfer to iTunes, burn to CD and so on. It will output the audio file with 100% original quality. Video Converter Studio provides you the ability to convert videos to any video, audio and device format. If you have advanced requirements for the output video or audio, you can choose the specified video resolution, frame rate, bitrate, audio channel, sample rate and so on. It supports batch conversion so that you can convert unlimited number of video files at a time. It is super easy to convert MPG to MP3. Download it and install it on your computer. Load you files into the tool by clicking “Add files” option or dragging. Set the output format as MP3 and choose the output directory. Hit “Convert” button to start conversion. Video Grabber is a nice choice to convert MPEG to MP3 online free, since it is easy to operate and has elegant interface. Video Converter Studio brings you many extras: converting videos to GIF files, editing files through trimming, cropping, adjusting effects, making MV with pictures and so on. So based on your need, you can choose either of them to finish converting files. Some people may be confused about MPEG and MPG. Actually, there is only a little difference between them – the name. At the beginning, the file extension of MPEG format was .mpeg, however, the early versions of Windows required only 3 letter file extension, so it was shorten to “.mpg”. But Macintosh can use 4 letter file extension, so the Mac users used “.mpeg”. Afterwards, the new versions of Windows began to use .mpeg. So people were used to using both the 3 letter and 4 letter file extensions. Nowadays, though, both of them are accepted by people, the most commonly used one is .mpg.